The media was given a stern warning after a picture was used of a witness being cross-examined during Oscar Pistorius's murder trial, in violation of a court order. "I am warning the media, if you do not behave, you will not be treated with soft gloves," said Judge Thokozile Masipa in the High Court in Pretoria. She ordered that no photographers of witnesses may be used -- no matter the source of the picture -- if the witness had asked that photos not be used. Masipa said an investigation would take place. "This might just be the tip of the iceberg." 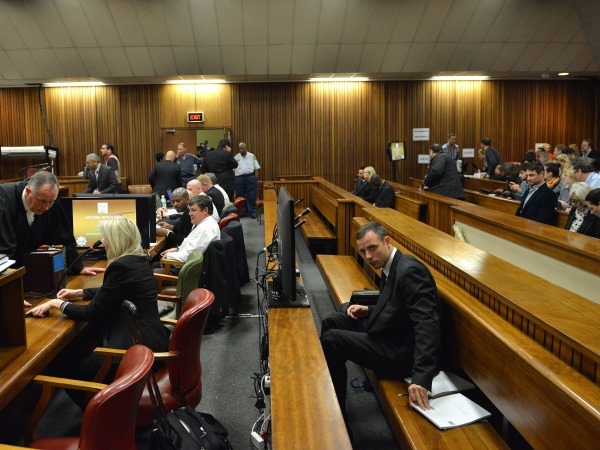 Prosecutor Gerrie Nel interrupted proceedings shortly after Michelle Burger started testifying on Tuesday morning. Nel said he had been told that Burger's face was being shown on television, despite her request that this should not happen. Her image, a still photograph, appeared on eNews Channel Africa. But eNCA head of news Patrick Conroy said he believed the channel had not done anything wrong. "We were not in violation of the court order, I must stress that," Conroy said on eNCA. The broadcaster earlier tweeted: "NOTE: 'We used a still picture from the University website - also carried in daily newspapers." The photograph has been taken down. Afrikaans daily Beeld also used a picture of Burger in the newspaper on Tuesday. Proceedings were stopped when the picture was shown on eNCA. Masipa ordered the media to stop any photographs of any sorts of a witness. She said it did not matter where it was sourced from if a witness had asked not to have their photograph published. She ordered an investigation into the extent of the non-compliance. This was after Nel said there was a photograph of Burger, Pistorius's neighbour, with audio of her cross-examination running. He said the news channel eNCA asked the department of justice fo permission and were told no, but they went ahead and did so. It was made clear that this was a violation of the ruling that no photograph or video of the witness should be shown. There would be an investigation to establish what further steps should be taken regarding the violation, Nel said. Last week Judge Dunstan Mlambo gave the media permission to broadcast the trial with strict conditions. These included not photographing or publishing images of witnesses if they asked for this in advance.